Brexit – What Might the Risks Look Like in the Event of an Out Vote? 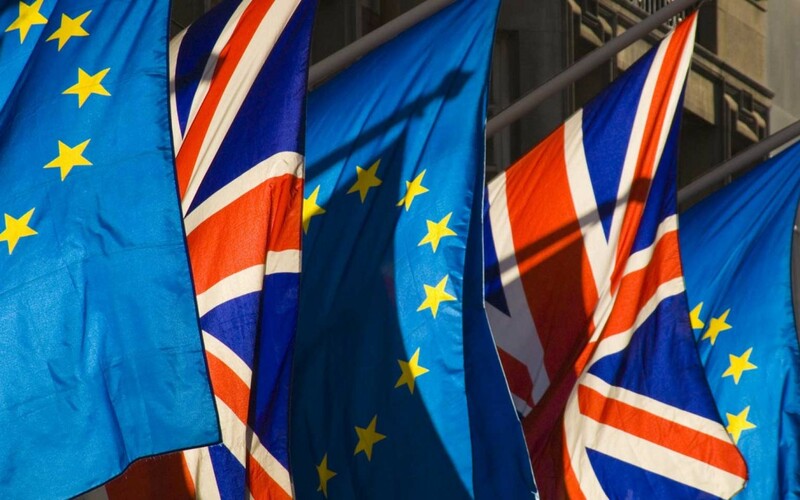 Unless you’ve had your head in the sand in recent weeks you’ll have noticed an awful lot of fuss about the EU Referendum which has been scheduled to take place on 23 June 2016. Whether one views the forthcoming plebiscite as a victory for democracy or merely the result of an internal Conservative Party feud, there is no doubting the fact that its impact could be world changing. We’ve heard of the risks, the need for change and there’s no shortage of hyperbole (see above). But what would a Brexit look like and what would it mean on the ground from 24 June onwards? It is difficult to deny that the immediate impact would not be positive. Markets don’t like uncertainty and a brexit vote would mean lots of that. Sterling would likely fall against both the dollar and the euro as more conservative (note the small ‘c’) investors hedge against a possibly weakened economy. It would be up to UK policy makers to attract them back but in the interim (a possible 4 years of renegotiation) weakened sterling would mean higher costs on things as varied as food, fuel and debt. What would this mean? Well for starters the debt repayments that Her Majesty’s Treasury makes would increase in size substantially – likewise any variable rate mortgages. This could affect the credit rating of UK Plc and the average taxpayer. Added to this the rise in the cost of living would likely mean a cutback in consumer spending, lower tax receipts from VAT and corporation tax and therefore a significant headache for George Osborne come his next budget. Further cuts across the board for government spending would be almost inevitable. For exporters, especially foreign owned manufacturers, investment decisions would be parked en-masse. While increased tariffs would be likely they would take time to materialise therefore it would be the sentiment of boards rather than increased costs that would have the most immediate impact. In short fewer eggs would be placed in the UK basket by way of foreign direct investment – a drop of over 6% according to some estimates. The Conservative Party will remain split. Boris Johnson is gambling his immediate future on the UK leaving and the Prime Minister not surviving a great deal of time beyond this. Should this happen Cameron would likely announce his intention to leave giving time for a leadership contest either by the Conservative Party conference in October or immediately following it. Either way this would mean added uncertainty bringing more economic ‘unease’. The Labour Party meanwhile will still be figuring out how to get rid of Jeremy Corbyn. It is unlikely this will have developed much and the side-show would thus rumble on with the familiar thunder-faced front bench flanking Mr Corbyn every Wednesday. If nothing else their opposition might not look quite so smug and some of the shadow front bench might have had ‘a good referendum’. Note that Hillary Benn has refused to share a platform with the Prime Minister – perhaps he sees photographs coming back to haunt him from his left flank some time in the not so distant future? The biggest political uncertainty following a Brexit lays north of the border in Scotland. The First Minister Nicola Sturgeon and former First Minister Alex Salmond have made clear their intention to push for a fresh independence referendum should the UK vote for brexit. They would not pause for thought in pursuing this objective. Much of the above is pretty bleak and yet very difficult in the round to contend. In the longer term the outers may be correct. The UK may take full advantage of a newly found economic and policy agility by forging ahead in the big wide world. Whether or not the warm blanket of sovereignty (itself a relative term) would soothe the ease of Britannia remains to be seen. The outers are yet to produce a thesis for what ‘out’ actually looks like. The retention of a £13bn annual payment would help fund certain projects. Nevertheless any policy ideas the UK pursues to win a competitive edge over the EU would be seen as an act of trade aggression. The EU will also be eager to make the point to remaining members that once out the grass is not in fact greener, no matter how pleasant the land might be. The Government last month rejected a change to the Energy Bill proposed by the Lords back in October 2015 apparently signalling its continuing commitment to cutting renewables subsidies with a view to lowering energy bills for consumers. However, with technologies such as wind and solar among the cheapest forms of power generation the Government faces an uphill struggle to back such claims up. The change would have seen the removal of the Government’s controversial proposal to close subsidies such as the Feed in Tariff (FiT) and Renewables Obligation Certificates (ROCs) early. The Government argued that the subsidies were over budget and costing consumers extra money. Industry on the other hand pointed out that the most common technologies to utilise the subsidies, solar and wind, are the cheapest of renewables. Furthermore, industry highlights the fact the international price of gas is the chief reason why the renewables subsidy budget – known as the Levy Control Framework (LCF) – is overdrawn. As a rule of thumb when the strike price for electricity goes down (this happens when the price of gas goes down) the LCF pays (and costs the Government) more. Likewise when the price goes up the LCF pays less to generators. In coming years it is projected that the Government will gain valuable income as prices rise and generators pay the Government as part of new Contracts for Difference (CfD) – which have been set to replace ROCs since 2013. The issue hasn’t been so much that the Government is withdrawing subsidies – this has been planned for many years and industry had planned accordingly. The problem is that the Government has hastened the end of the current subsidy regime before developers have had the chance to bring projects to fruition. Subsidies have been closed a year early – for developers with projects six months or a year away from financial close there has been millions of pounds and many years of time invested into getting to this point only for projects to be shelved or abandoned altogether. The Government’s push to contain the costs of solar and wind has been in part fiscally driven but the main driver is Conservative Party antipathy to onshore wind in particular. This was evidenced in their 2015 general Election manifesto pledge to “halt the spread of onshore wind farms” and “end any new public subsidy” for wind developments. 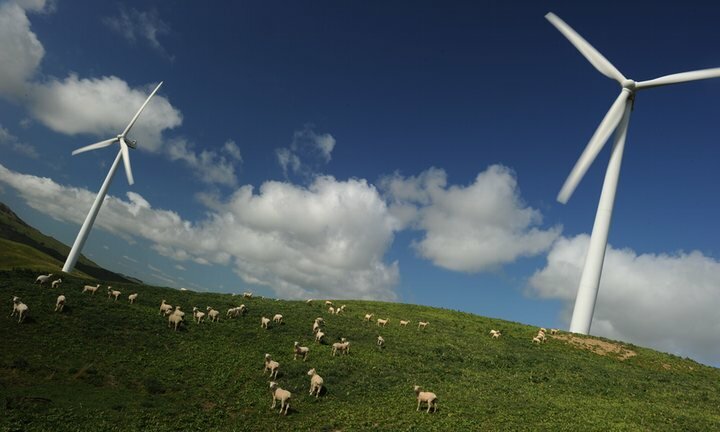 Not only is the Government seeking to stymie subsidy support, it is also seeking to tighten planning rules governing onshore wind turbine deployment. Fine if you live in a national park, problematic if you live anywhere else. The Government, which faced criticism over the proposals when the bill was first heard in summer 2015 had initially suggested there was little room for negotiation with peers over the subsidy. Amber Rudd, Secretary of State for Energy & Climate Change had reiterated this position, citing the pledge to scrap the obligation in the Manifesto in the face of a clamour of dissenting voices. The criticism was not just from opposition parties, but also business, pressure groups and NGOs arguing the early closure of the renewable energy subsidy is hugely damaging for the economy, future energy security and the environment. Indeed back in September when the Bill was first debated the then Director General of the CBI John Cridland suggested the move could risk losing the UK billions of pounds in potential overseas trade in the green economy. Seemingly in a move to minimise further obstacles to the bill’s passage through parliament in in what is already a very crowded legislative calendar, Decc announced ahead of the February parliamentary recess that they are considering proposals put forward by the wind energy industry to alter key aspects of the bills offer to the sector. The proposals would, in short, mean providing wind energy contracts on a subsidy free basis – with support only kicking in if prices plunge in the event of a market shock. This underwriting, rather than subsidisation will provide a key financial guarantee for lenders and get projects to market. Details of the proposal have yet to be fleshed out but it is clear that this approach would mean a smaller impact on consumer bills. The proposal is dividing members of the Conservative party and the Government with some including former Environment Secretary of State citing the Government’s manifesto pledge to end onshore wind farm subsidies. We can expect to see extensive debate There is likely over the definition of ‘new’ in the Conservative election pledge to “end any new public subsidy” for onshore developments as the proposed funding arrangement could, in theory be viewed as a reformulated offering through the Renewable Obligation. If the Government bows to internal criticism and chooses not to give much ground on this, the Bill could be set to divide the Government and House of Lords once again. 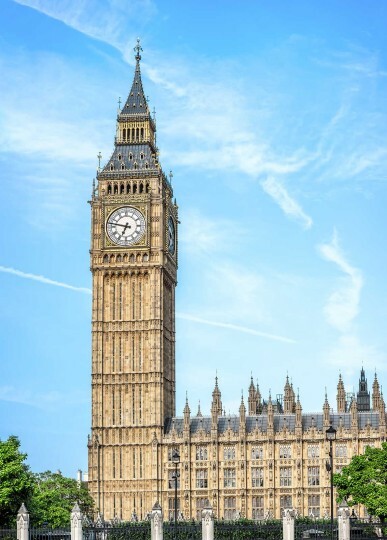 The Commons Energy Committee last week resolved to reinstate the clause removed by the Lords detailing the closure of the RO and this will once again be sent back the Lords after the report stage and a further reading in the Commons. We may well be about to witness another impasse between the two chambers which could plunge Westminster into yet another unhelpful period of procedural and constitutional naval gazing. The arguments over the upper chamber’s ability to vote down Government legislation are well rehearsed and it is not necessary for us hash out the rights and wrongs of the actions of respective houses. Nevertheless the Salisbury Convention can certainly be satisfied in the event the early removal of subsidies are overturned because budgets were allocated until 2020 before the 2015 Manifesto commitment was made. What we should be concerned about are the implications of the Bill in its current form for both business and communities – jobs in this sector are estimated northwards of 40,000 UK wide. The impacts of the removal of renewable energy subsidies could be far reaching, especially in a country running with barely 1% spare electricity capacity at peak times. It is important that industry continues to interrogate the decision to drop support early. Indeed, the Lords is playing a vital and reasonable role translating the needs of investors who collectively employ many thousands of people as well as drawing inward investment into UK Plc.